When we think about canal-lined cities, there are a few that spring to mind immediately. 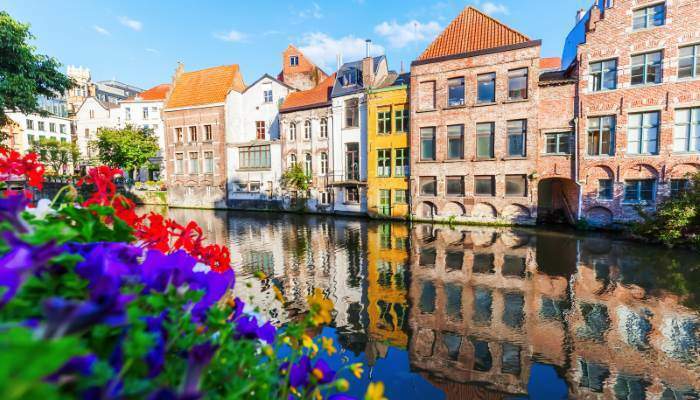 But there are a lot more canal-laiden destinations than you might expect, all offering the picturesque scenery that miles and miles worth of waterways inevitably grants. From floating gardens in Central America to bustling water markets in Thailand, read on to find out about some of the world’s most beautiful canal cities. 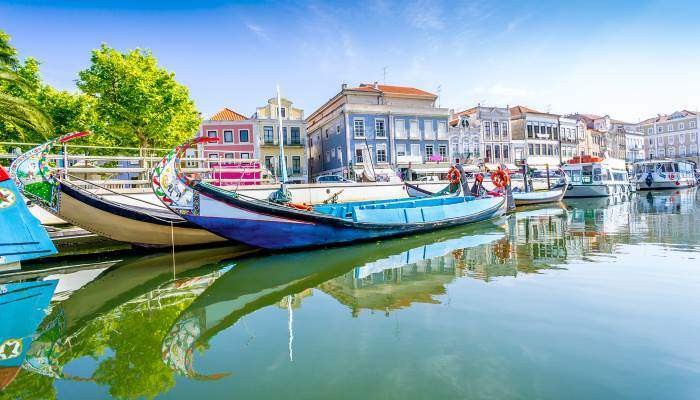 Aviero’s canals spill out from the Ria lagoon, making their way through the colourful Portuguese town. One of the most popular ways to explore them is on a moliceiro, a vibrant boat traditionally used for seaweed fishing. Speckled with art nouveau buildings, the city is often referred to one of the country’s hidden gems, and there’s lots to see away from the canals, and, since it’s on the coast, there’s the added bonus of some lovely beaches here too. 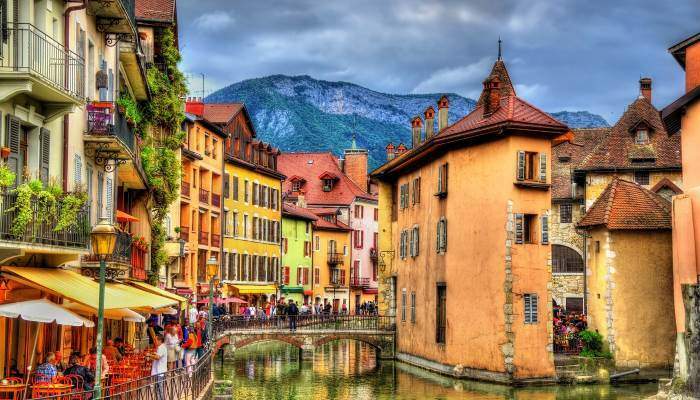 Nestled within the French Alps, Annecy is a picturesque city with two canals and the Thiou river running through it. With swathes of green spaces, Annecy’s verdant reputation is owed in part to winning the Golden Flower award in 2015, given to the nine most “flowered” cities in France. Adding to its beauty is Annecy Lake, a vast body of aquamarine, sheltered by a lofty mountainscape. 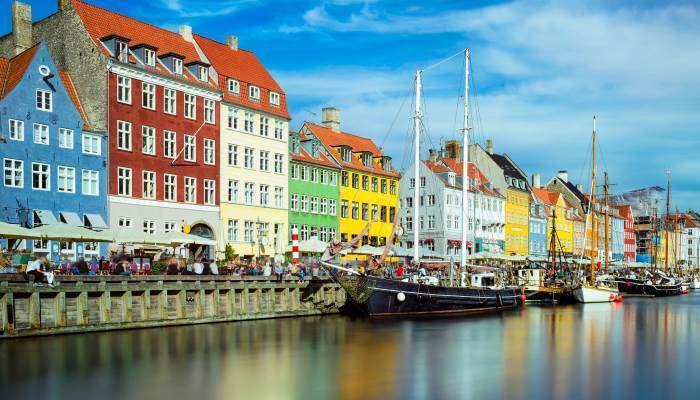 Denmark’s trendy capital stretches over two islands, introducing a water-filled chasm between them. On a canal tour you can see the famous Little Mermaid statue, inspired by one of Hans Christian Anderson’s most famous fairytales And as you float down the waterways, watch as a multicoloured patchwork of buildings slip by with clusters of Danes perching under parasols outside them. Amsterdam‘s complex water system incorporates more than 100 kilometres of canals, which thread through the city forming a water-logged web. 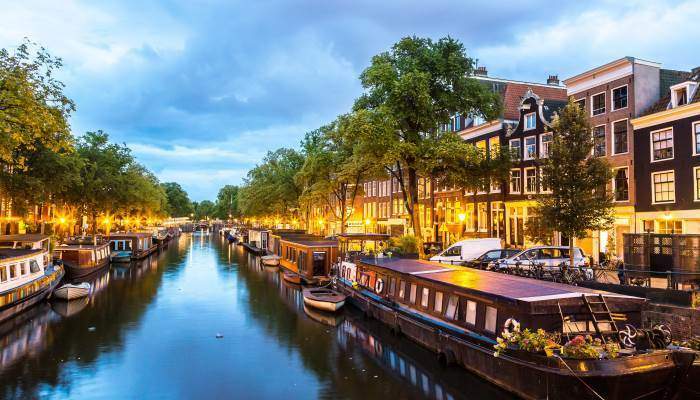 A popular way to explore the city is by canal cruise on an electric powered boat. Choose between a day cruise which usually comes with a couple of drinks or a hop-on hop-off tour which fits in seven stops. If you’d rather not share the experience with fellow travellers, opt for a self-operated motor boat. This Medieval Belgian town offers a less touristic alternative to Bruges, and it’s arguably just as picturesque. A 600,000-strong student population ensures a healthy nightlife exists here, with countless pubs offering some of the country’s finest brews. And with canals weaving through the streets, there’s the option of exploring the city by boat – some companies offer these for under €10. Mexico‘s much maligned reputation often prevents people from experiencing the wealth of culture its capital has to offer. And not many of us would realise that it’s got an ancient canal system running through it. 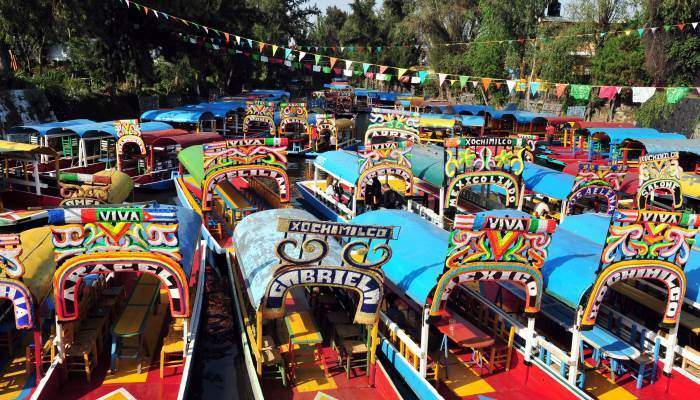 Visit the canals in Xochimilco, to the south of the centre. Also known as the Floating Gardens, they separate patches of greenery and are shaded by overhanging trees. It’s a peaceful refuge from the hubbub of the centre. Shopping in Bangkok‘s hectic streets can be stressful at times, so many take to the streets to buy their souvenirs instead. 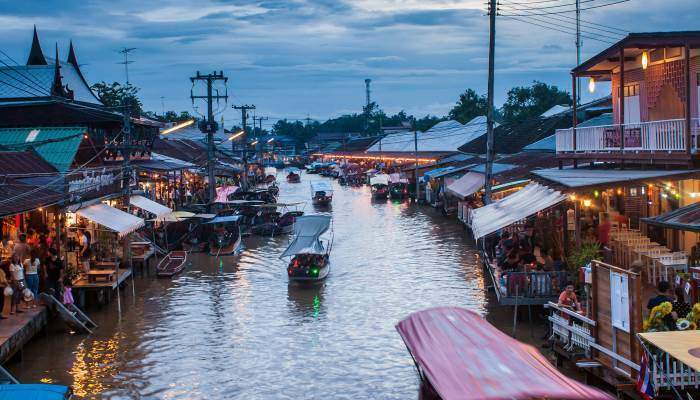 There are several floating markets in the city including Amphawa and one of the city’s most popular spots, Damnoen. Offering a combination of goods and food, you can spend hours wafting up and down the watery high street bargaining for trinkets and sampling mouth-watering street food. 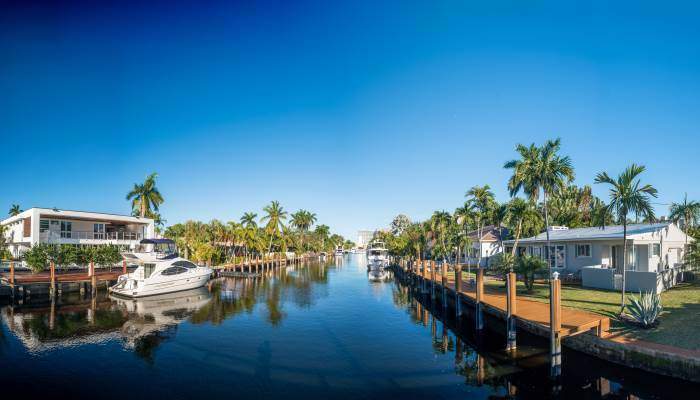 Nestled on Florida‘s east coast, Fort Lauderdale has a distinctly nautical vibe. This is thanks to an intricate system of canals flowing through it. There’s also the Intracoastal Waterway separating it from a huge chunk of land and flowing from Boston all the way down to the Florida Keys. You’ll never be far away from water here. We couldn’t leave out the most famous canal city of them all. 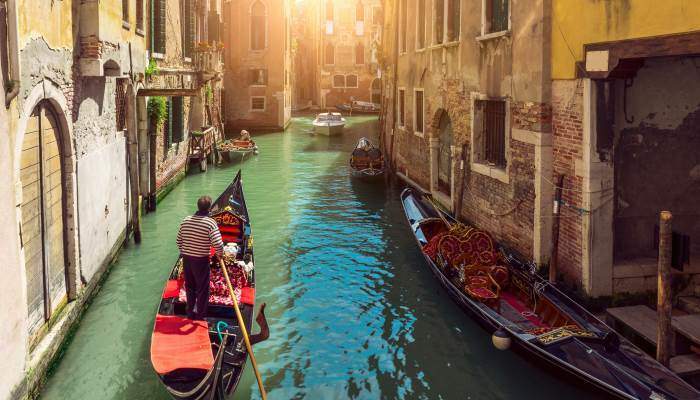 The canals in Venice are one of the main reasons tourists flock to the city. But there’s also the Piazza San Marco with its breathtaking basilica and Palace and the iconic Bridge of Sighs. Since there are no roads here, you can either hire a gondola, book a water taxi or jump on a vaporetto (a water bus), depending on your budget.